Top Dog Window Cleaning Ltd - Cleaning Services based in Birmingham, West Midlands. 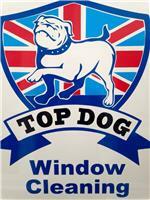 Top Dog Window Cleaning Ltd provides a professional service to the highest of standards. Tailoring our services to the customer needs. If you have any questions, please feel free to give us a call to discuss your requirements. We are fully insured and public liability documents can be seen upon request.